Legacy Vinyl Components is a custom vinyl fence fabricator specializing in maintenance free fencing and railing. Located in Lockport, IL, we offer a wide variety of styles and colors to meet all of your needs. Our computerized fabrication shop allows us to produce your order accurately and efficiently. From standard privacy fences to custom picket designs even measurement specific deck railings. Legacy Vinyl Components is a proud supplier of Plygem Fence & Rail the Leader in Vinyl Fence and Rail Products. Learn more. 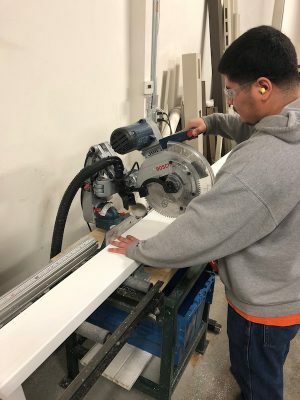 At Legacy Vinyl Components, we use the highest quality PVC extrusions in order to produce the highest quality product on the fence market today. Learn more. The Legacy Vinyl Components Showroom is located at 2700 S. State Street in Lockport. 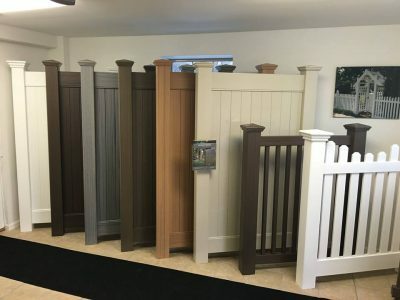 Our showroom has a wide variety of colors and styles to view.